The team at Proud Cabaret are delighted to offer the Occupiers of the St Botolph building the following packages for both their City and Embankment branches. Every Thursday night we have a show – Cirque De Ville, we are offering 50% on meals when booking Standard or Premium Packages. Every Friday night we have the – Proud Boys Show, we are offering 50% on meals when booking Silver or Gold tickets or The Hen Package. Offering fine dining & entertainment in a self-contained space amidst a lavishly decorated underground escape, the venue exudes the beautiful glamour of a bygone era. A haven of hedonism, Proud Cabaret brings a slice of the 1920’s to London locations in the City. Guests are privy to high-end dining and entertainment in the form of cabaret, jazz and burlesque shows, evocative of Prohibition-era speakeasies. Every Friday night we have show Lady Marmalade, we are offering 50% on meals when booking Cocktails, 3 Courses & Show or Premium Cabaret Dinner. Located between Somerset House and the Savoy Hotel, under Waterloo Bridge on the river, this cabaret club is the latest, greatest addition to the Northbank – London’s most important new cultural quarter. 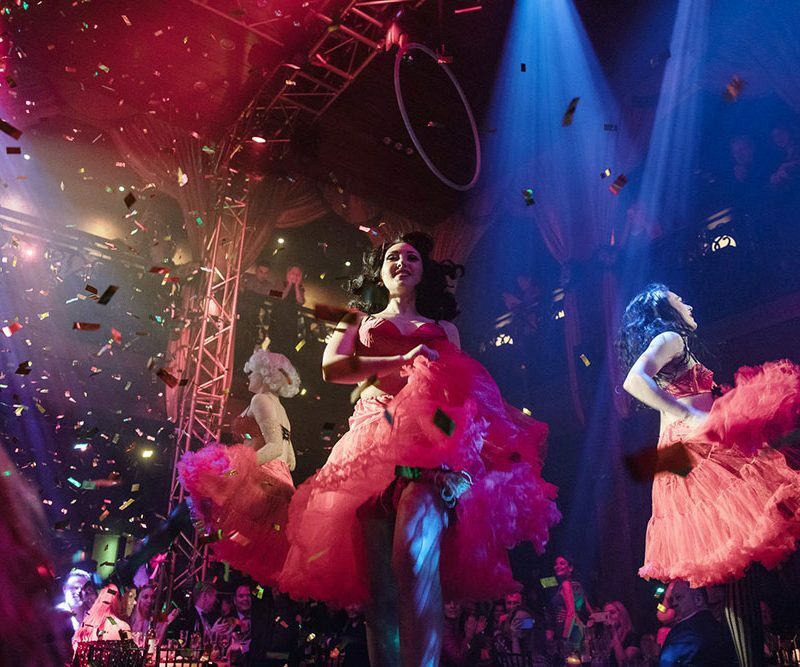 The two-storied venue boasts a dining capacity of 450 seats and hosts a vast array of conceptual shows – from circus and classic burlesque shows to sleek choreographed routines. All shows are accompanied by a flavoursome Pan-Asian menu featuring various dining options to choose from. After hours the venue will transform into a nightclub where up to 750 guests can be dazzled by the late-night performances. Remember to advise when making your reservation that you have the blue St Botolph loyalty card.